Calling anglers of all experience levels! 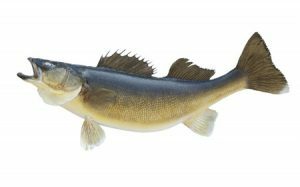 If you are planning a fishing trip to see us in beautiful Northwestern Ontario, we will help you prepare for your adventure by telling you everything you could ever want to know about Walleye, the most common freshwater game fish. Hopefully these Walleye fishing tips can help make you more successful at reeling in the best Walleye! Walleye are extremely abundant on all of the lakes we have fly-in fishing camps on, so pack your tackle box, get all of your fishing gear and book a stay with us at Mattice Lake Outfitters today! We are located all along the peaceful shores of the Ogoki-Albany River. We are sure you will have the ideal fishing experience, so give us a call at 1-800-411-0334 with any questions you may have!